Welcome to Axios Autonomous Vehicles. As the global AV industry emerges and evolves, we’ll deliver news and expert analysis of the technology — including the hype around it — and its intersection with our daily lives. Situational awareness: I’m steering this newsletter until our AV correspondent Joann Muller arrives next month. Think of me as Level 1. With the help of our Expert Voices contributors, we’ll guide you through today's topics. In the meantime, send me your tips and feedback at alison@axios.com. Around the world, carmakers, cities and whole nations are describing a new era in which we will no longer drive ourselves, but glide hands-free along electronic highways into futuristic cities. There's just one problem: Humans are still a lot smarter than even the smartest cars — and are still babysitting them every step of the way. Why it matters: Although human error accounts for many accidents on the road today, people are generally good at managing the demands of driving. 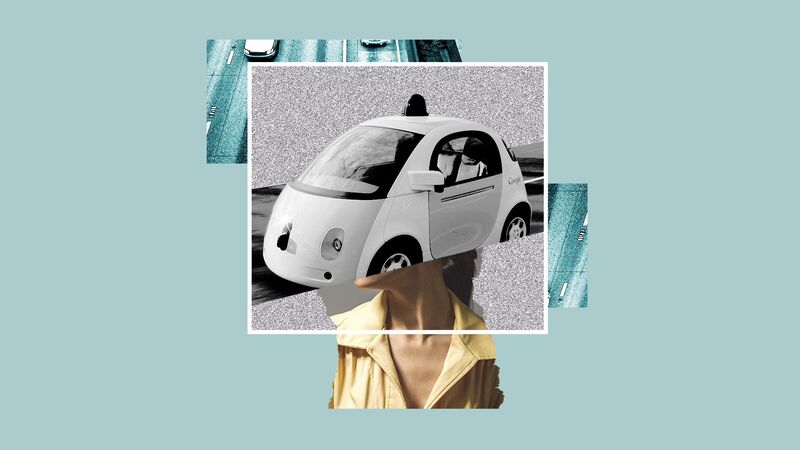 To fulfill their ultimate promise of transforming how we build cities and move people and goods — saving lives in the process — AVs will have to be even better drivers than people. We draw on our memory of the thousand previous times we took that left turn, calculate the rough distance before a stoplight, and interpret other drivers' gestures. "What’s needed in your brain? Everything," says Elizabeth Walshe, a cognitive neuroscientist who uses neuroimaging to try to determine how the brain combines information while people drive. "There are all of these subtasks within the task of driving and then this unpredictable environment," Walshe says. But, it's a crucial skill computers currently lack. Autonomous vehicles approximate the way human drivers perceive the world through a multitude of sensors — including high-definition cameras, radar and lidar, which uses lasers to map out the surroundings — and extremely detailed maps. They can detect weather conditions (though snow, rain and fog are still hurdles), congestion, and construction. Between the lines: The artificial intelligence work needed to overcome these challenges is moving forward. More data is paramount for deep learning, which is the AI technique that powers most autonomous driving today. Companies build data stores by driving millions of miles with cameras and sensors to "teach" the algorithms how to handle myriad situations. Better computers can help cars make split-second driving decisions. A Nvidia researcher estimated that it can take more than a thousand specialized, top-of-the-line computers just under a week to train a 125-vehicle fleet to drive. Smarter algorithms will help self-driving cars avoid lapses in judgment. Deep learning can be "brittle," getting confused by a situation slightly different than what it’s used to, such as a stop sign with stickers on it. The bottom line: In the past decade, the industry has gone from zero to thousands of self-driving cars on the road — putting real autonomy within sight. Aurora co-founder and CEO Chris Urmson writes for Axios Expert Voices ... AV companies track — and publish, at least in California — a variety of performance metrics. These include how many times an operator has to take control of the autonomous system, accidents, and distance traveled autonomously. Disengagements: Absent contextual details, the number of times an operator takes control of the vehicle is on its own a poor indicator of performance. Too few disengagements indicate a lack of instructive situations from which to learn. Too many, especially if during similar situations, suggest the system is not learning enough. Accidents: The majority of accidents involving human drivers go unreported, while (at least in California) all AV collisions must be reported, no matter how minor. Accident reports might then provide limited insight into one aspect of a system’s capabilities, but in aggregate they don't reflect a system’s overall performance — or the industry’s. Distance: The number of miles driven is probably the most useful metric because real-world performance matters. While simulated miles are hugely valuable, the right road miles present a system with the challenges of unanticipated situations. But all experience is not equal: Less complicated miles, like those on uncongested freeways, are easy to accumulate but less instructive per mile than those in a challenging urban environment. The Atlantic Council's Beau Woods writes for Axios Expert Voices ... Remote assistance, telematics, Wi-Fi and other core systems of autonomous vehicles have vulnerabilities that could let adversaries control safety-critical components like steering, braking and the engine. Consider the problems encountered in securing even simple connected devices like webcams, door locks and conventional cars. Now imagine strapping yourself into the passenger seat of an AV, with hundreds of computers, in hundreds of millions of cars, and billions more sensors in and around the road itself, all talking to each other and connected to the internet, through yet-to-be-finished technology and yet-to-be-finalized standards. It’s no wonder 75% of Americans are concerned about autonomous vehicle security. Woods is a cyber safety innovation fellow at the Council's Scowcroft Center for Strategy and Security. As populations grow in cities, we can expect more traffic. 5G-focused companies say their new technologies could make commutes smarter and faster, from real-time rerouting to avoiding crashes. Why it matters: American drivers spend nearly 300 hours behind the wheel each year. While some transportation experts are skeptical, others say that with the rise of autonomous vehicles and new connected-car systems, 5G could potentially transform transportation, saving time, gas and money. Reality check: 5G networks are in the early stages of deployment in a number of U.S. cities. But it will be years before service is ubiquitous. Rand's Laura Fraade-Blanar writes for Axios Expert Voices ... Older adults continue driving until the last 6 to 10 years of their lives, though their ability to safely operate a vehicle may diminish because of illness, limited mobility or side effects of medication. Like many Americans, older drivers will need to overcome their anxieties about AVs to give them a chance. They will also face unique challenges, like learning to navigate ride-hailing apps and, in some cases, monitoring the AV and its environment to take manual control if necessary. AVs may need to allow a longer window of time for older riders with limited mobility to enter or exit the vehicle, or to include control options for a caregiver accompanying riders with physical or cognitive impairments. Fraade-Blanar is a postdoctoral fellow at the National Institutes of Health and an adjunct researcher at the RAND Corporation.